Thank you, Diana :) To motivate and inspire others, actually motivates & inspires me. I love this cycle. This is definitely the quote of the day!!! Awesome :) I'm doing my best to integrate that quote in my day-to-day decisions. It's tough but possible. You always have the best pick-me-ups!! Courage all the way. :) Well, at least try! 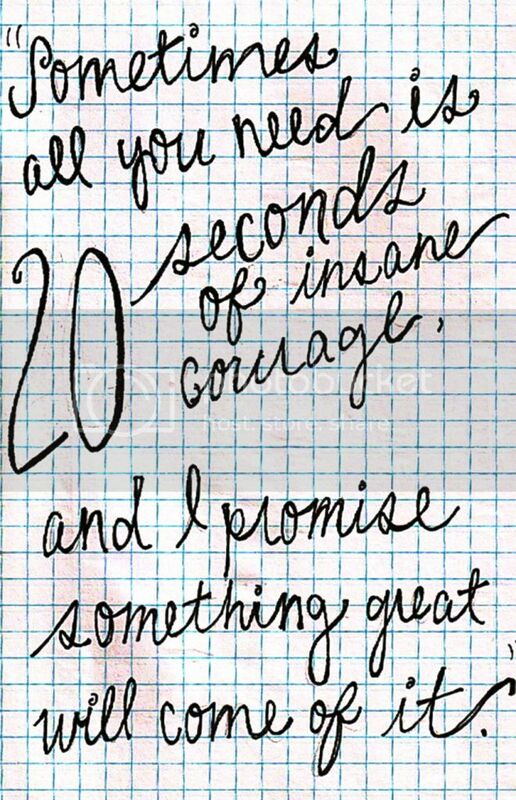 Not insanity, definitely courage all the way!! That's totally awesome, Rhi!! Awesomely TRUE quote. Thanks for sharing this! It's hard to gather up courage sometimes. LOVE this quote! I just might instagram it! Thank you for the sweet comment, now following please follow back. I love it! Nice inspirational thought. Am pinning it!